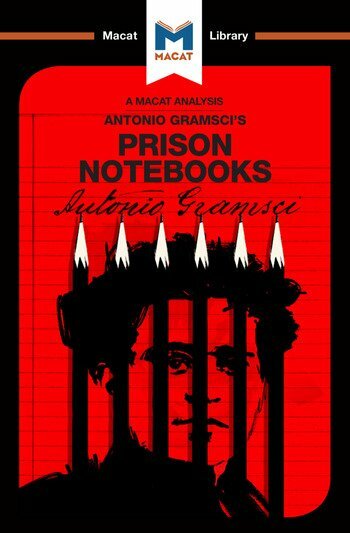 Antonio Gramsci’s Prison Notebooks is a remarkable work, not only because it was written in jail as the Italian Marxist thinker fell victim to political oppression in his home country, but also because it shows his impressive analytical ability. First published in 1948, 11 years after Gramsci’s death, Prison Notebooks ably demonstrates that the writer has an innate ability to understand the relationship between different parts of an argument. This is how Gramsci manages to analyze such wide-ranging topics – capitalism, economics and culture – to explain historical developments. He introduces the idea of “hegemony,” the means by which ruling classes in a society gain, keep hold of and manage their power, and, by carefully looking at how society operates, he reveals the manner in which the powerful deploy a combination of force and manipulation to convince most people that the existing social arrangement is logical and in their best interests ­– even when it isn’t. Gramsci shows exactly how the ruling class maintains power by influencing both political institutions like the courts and the police, and civil institutions, such as churches, family and schools. His powerful analysis led him to the conclusion that change can only take place in two ways, either through revolution or through a slow but constant struggle to transform the belief system of the ruling classes. Lorenzo Fusaro did his postgraduate research at King's College London and is currently a member of the Department of Economics at the Universidad Autónoma Metropolitana-Azcapotzalco.